might have looked like in real life, as it is obious that it does not work according to the patents drawings. I have not built it myself. First, I want to have your opinion. Will it work? I have made a more effective version of Figuera generator patent. I my version the input coil is in the middle and is energising the output coils to left and right. 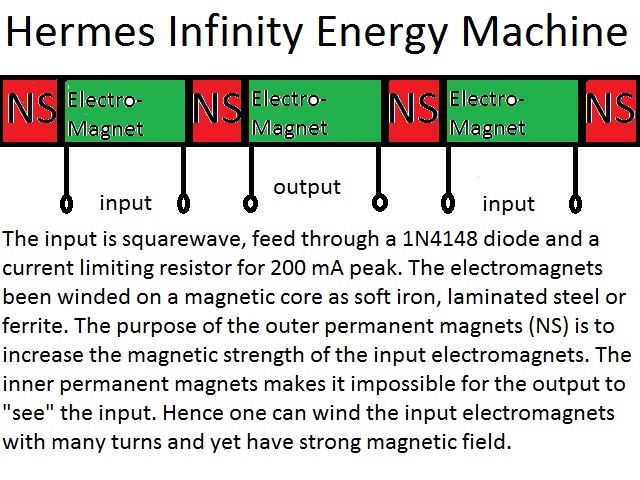 While the Figuera patent the input coils are at the end and is energising the central coil, but half of the magnetic energy are lost to air, because the outer ends of the generator coils faces air.